This article highlights the benefits and difficulties of action-research projects implemented to advance territorial development, in the context of the smart specialization strategy promoted by European Union regional policy. We focus on the strategy’s implications for territorial development in peri-urban and rural areas. The role that researchers can play in the smart development approach is examined through an action-research project (TASTE project) linking researchers and actors at the territorial level. 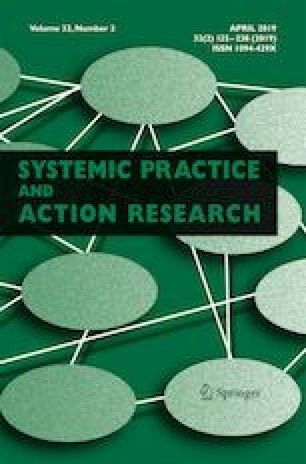 Two case studies are used to illustrate the on-going process of action-research, the interactions between participants, the tools designed to share knowledge, and the roles taken by researchers. Both the benefits of these approaches and the difficulties encountered by researchers in such action-research are discussed. We suggest principles, attitudes and tools researchers can adopt to foster smart territorial development. The authors thank all the action-research participants. We thank Marjorie Sweetko for English language revision. This work was financially supported by the EU-RURAGRI project Towards a Smart Rural Europe (TASTE), and by the French National Research Agency. The authors declare that they have no conflict of interest.